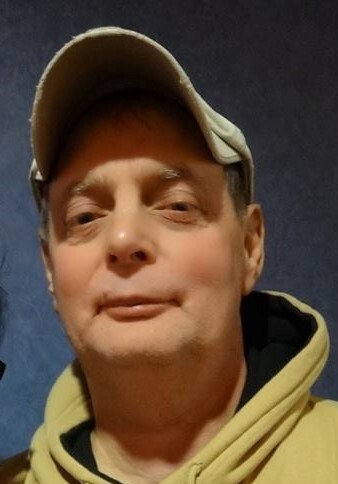 Steven Lee Disinger, 64, of Dunkirk, IN passed away late Sunday evening, March 24, 2019 at IU Health Ball Memorial Hospital of Muncie, IN. He was born January 1, 1955 in Jay County, IN, the son of Vernon and Bonnie (Bricker) Disinger. Steve retired in 2009 after five years as a woodworker with Pennville Custom Cabinets of Portland, IN. He also had worked 30 years with Corning Glass. He was a member and enjoyed his church family at Calvary United Methodist Church of Dunkirk, IN. He leaves to cherish his memory his mother, Bonnie Disinger; a loving wife, Hilda DM Disinger; and a son, Matthew Lee Mado Disinger. He was preceded in death by his father; two brothers, Kent Allen and Robert Neil Disinger. A service to celebrate Steve’s life will be 1:00 p.m. Friday, March 29, 2019 at Wilson Shook Funeral Home, Dunkirk Memorial Chapel of Dunkirk, IN. Burial will follow at Twin Hills Cemetery of Pennville, IN. Family and friends may gather to share and remember from 11:00 a.m. to service time on Friday, at the funeral home. Memorial contributions may be made to Calvary United Methodist Church, 307 N. Main St. Dunkirk, IN 47336. Online condolences may be expressed at www.wilsonshookfuneralhomes.com.